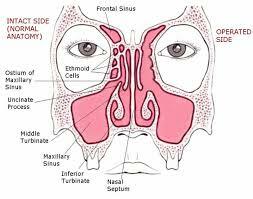 Millions of people suffer from mild to severe sinus problems. In cases, where sinus infections are chronic and medication does not provide relief, the doctor may recommend another alternative, surgery. Depending on the seriousness of sinusitis, the doctor may decide to perform an ethmoidectomy. This type of surgery will relieve the pressure behind the cheeks and from under the eyes. This type of pressure indicates a problem with maxillary, and an antrostomy may be the best course of treatment. Most sinus infections are more serious any others, and may require other forms of treatment. For instance, to clear up some sinus infections and to unblock certain areas the doctor may use an enlarged turbinate and a spectrum. Both of these instruments are powerful. After the surgery, the doctor uses a special solution to cleanse the sinuses, and remove any remaining bacteria. The machine the doctor use is a Hydrdebrider system. The system works better than most systems is offers a more reliable and solution to removing bacteria from the sinus area than traditional saline solutions. The surgery can last anywhere from one to three hours, this depends on the type of surgery the patient gets. During the procedure, the patient is given local anesthesia. The ear, nose, and throat doctor pushes an thin long narrow tubing with a miniature camera, and a tiny light on the end, down into the nose. 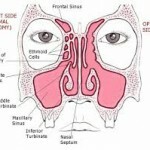 This instrument allows the doctor to get an excellent viewing of the problematic sinuses right away. Through the thin tubing, the surgeon passes down small surgical instruments to help open up the ethmoid sinus. This final step in the procedure is designed to improve or unclog nasal drainage, and allow the nasal passage to be cleared from any signs of bacteria and infection.